The word "holistic" is thrown around a lot these days. It is a grown-up way to say that the dots are all connected; or, to use another playroom analogy, that all the puzzle parts fit together. 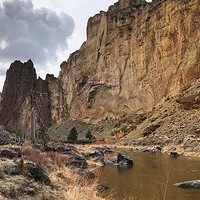 This concept—or, more appropriately, this goal—plays out in very obvious ways in our parks and Central Oregon's recreation pursuits, and the trails and rivers and roadways that offer the opportunity to hike, boat or bike uninterrupted. Think about it: Cheryl Strayed's New York Times bestseller Wild would have a very different, and less satisfying, narrative flow if the young writer had set out on a literal and figurative pathway toward redemption and emotional healing had she gone for a hike, only to hit the end of the pathway and been forced to turn back, instead of following a portion of the impressive Pacific Crest Trail that connects Washington's evergreen forests to California's deserts in a (mostly) continuous path, drawing together disparate environments and ideas into one linked-together pathway. In a world that we are told is ever-more connected by online platforms like Facebook and the aptly named LinkedIn, we prefer to consider how those connections are being made in the physical world, about how hiking trails, bike paths and rivers are being linked into one continuous, free-flowing avenue for our activities—and, to create, dare we say, a flow. This is an ideal, and there are challenges, like correcting mistakes made by previous generations, working through blockades that force kayakers and canoers to drag out their boats from the Deschutes River and drag them along the roadway before hopping back into the water flow, or busy highways that bisect bike paths. 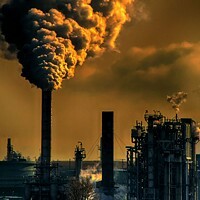 But many of those wrongs are being righted, and everyone from U.S. Forest Service rangers to local environmental advocates have done a righteous job trying to connect the dots. 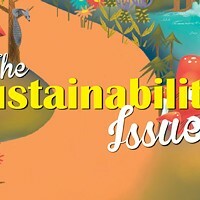 This year's Earth Day Issue is about the many ways that these dots are being connected in Central Oregon's rivers, roadways, bike trails and hiking paths. To read more about connecting Central Oregon's rivers, trails and bike paths click here.